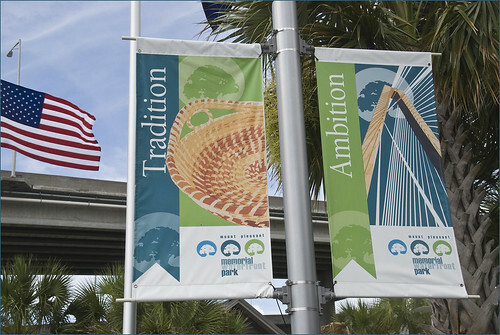 Below the Arthur Ravenel Jr. Bridge sits this recreation area in Mount Pleasant (SC) overlooking the Cooper River. Several bicycle trails lead out from this area, connecting to the East Coast Greenway. A pier on the river provides a site for fishing and strolling. Image by Ron Cogswell on July 12, 2012, using a Nikon D80 and minor Photoshop effects.